This time of year, many people will be heading outdoors and taking advantage of the many exciting activities available in the fall and winter in Massachusetts. Two of the more popular activities are snowmobiling and riding ATVs. 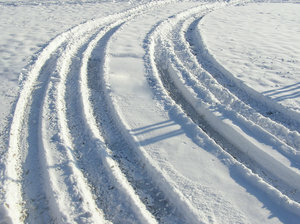 While ATVs are often used in the summer, many people use them on snow as well, and this can certainly be exciting. However, using an all terrain vehicle (ATV) or snowmobile can be very dangerous as well, and they have been the cause of a significant amount of personal injury, especially among children. While, from a factual standpoint, the cause of most of these accidents involves falling off an ATV or running into a low tree branch, there are variety of different legal theories of causation that can be used in a personal injury lawsuit; however, we are still generally dealing with a negligence case. A negligence case involving an ATV accident typically involves a claim against the vehicle owner, rental company or manufacturer for making a defective product or failing to warn of a known danger. Again, while the specific type of negligence claim will be fact determinant, we know that certain types of injuries are more common than others, and one of the highest risk groups of ATV users are children. For this reason, Massachusetts has been first in the United States to ban children under 14 from riding ATVs. Following passage of this law, research has shown that the ban has been highly successful. There has not been a single death of a rider under 14 in an ATV rollover accident since the law went into effect. The law also cut the number of traumatic brain injury (TBI) cases in ATV riders by around 50 percent in the Commonwealth of Massachusetts. According to a recent news article from ABC, the Australian government has invited representatives from the Commonwealth of Massachusetts to discuss how the law was drafted and how it is working, so a similar law can be drafted there. The law designed to prevent ATV accidents in Massachusetts is called Sean’s Law. It is named after a boy whose parents dropped him off at a friend’s house to play hockey. Without the parents’ knowledge, the boy was given a powerful ATV to ride and told go and have fun on his own. He had never been on an ATV before, and he suffered a serious brain injury. He was rushed to Massachusetts General Hospital (MGH) in Boston for surgery, and doctors worked on him for three days until he ultimately died from his ATV accident injuries. The boy’s parents and the pediatric surgeon who treated the young victim at MGH spearheaded the law. The doctor said he never felt so helpless as when he had the young victim in his care. In this particular accident, he fell off the ATV and then managed to get trapped under it, and the blood supply to brain was cut off, and his brain could not get any oxygen. Not only was this boy under the age that is now a mandatory limit for riding an ATV, but it has also been alleged he was not provided proper training or supervision.